This Slow Cooker Spiked Apple Cider comes together quickly and is perfect for serving to party guests! 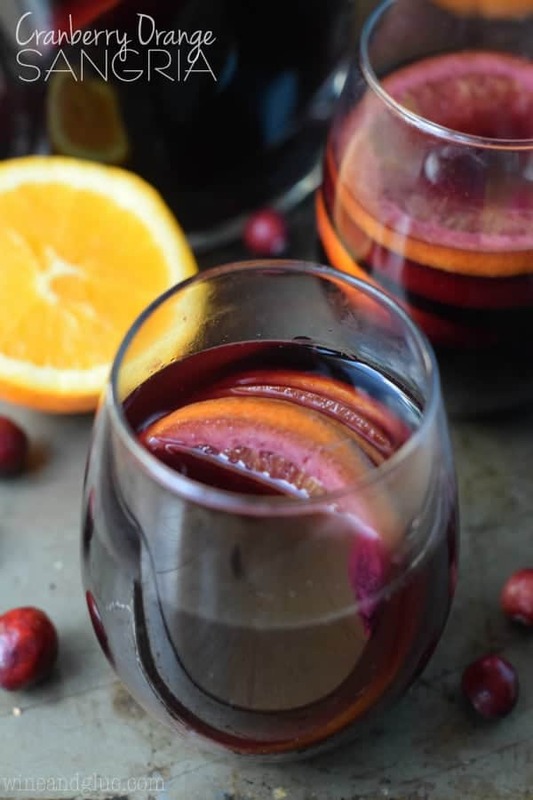 This easy mulled cider is made in the crock pot and is tasty! 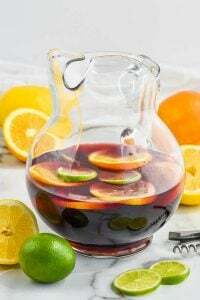 At a party you can easily put the alcohol off to the side so that people can add it as they serve themselves, that way it is still a kid-friendly non-alcoholic drink. 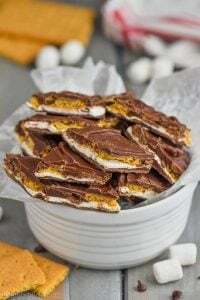 If you are looking for other great fall party recipes make sure you look at this super fast pumpkin pie dip, these caramel apple bars, and of course this candy corn poke cake! Did you have a good weekend? Here in the midwest we are having a HEAT WAVE, and I’m totally over it. Guys. I have cute sweaters and boots that are all, “Dude. When are you breaking us out? ?” Yup. I’m ready. Crunchy leaves should just automatically mean cooler weather and cute clothes, amIright??? It’s totally possible that fall is my favorite time of year to be a food blogger. I just love all the flavors going on this time of year. 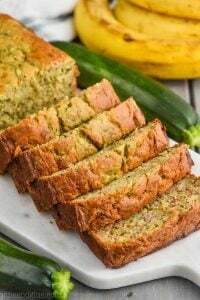 And I love making recipes that are perfect for hosting. 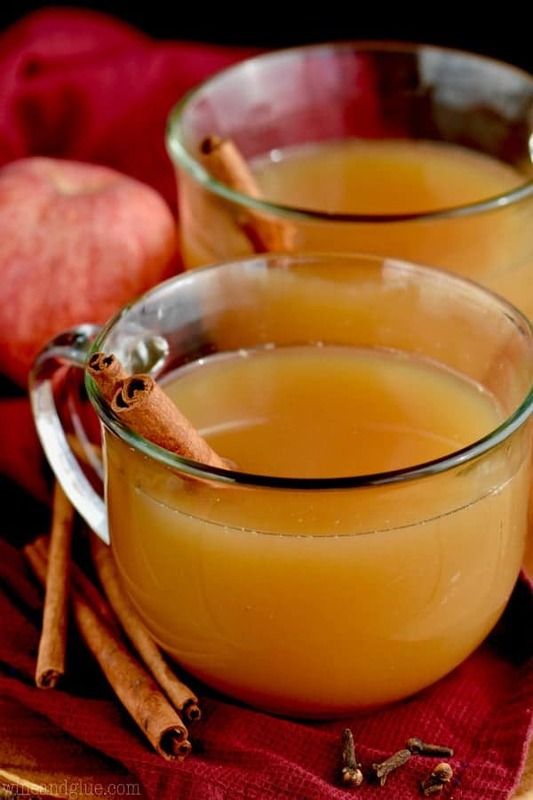 Which means that I totally love this Slow Cooker Spiked Apple Cider. Can you beat a party recipe that is done in the crock pot? You cannot, friends. This recipe comes together so quickly. It calls for whole cloves and oranges. I love sticking the whole cloves into the oranges so that they don’t get lost in the liquid. A great trick I learned from my friend, Trish. 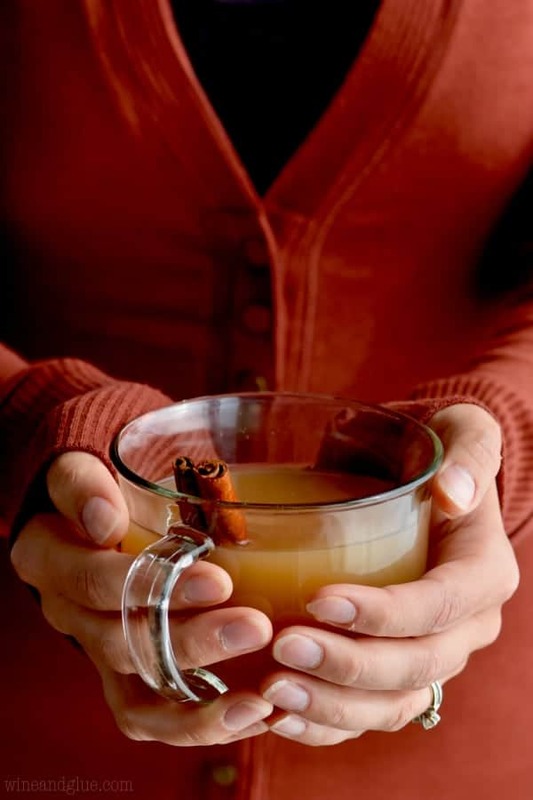 Most cider recipes call for anise, but it’s not my favorite so I left it out of this one. If you like that flavor, be sure to throw in a few pods. Additionally, I recently saw a video that showed using a coffee filter and making it into a pocket to hold the cloves and anise. That’s another great way of doing it so that they aren’t all just free floating. You could also use one or two tea strainers to hold the cloves and anise. The brandy is added at the end of this recipe because you don’t want to cook it. This is perfect because then you also have the option of just setting the brandy off to the side at a party and letting people add it as they serve themselves, keeping the drink kid-friendly. After slicing the oranges, make small holes in the rinds with the tip of a knife and insert the cloves in them so that they don't float free in the cider. 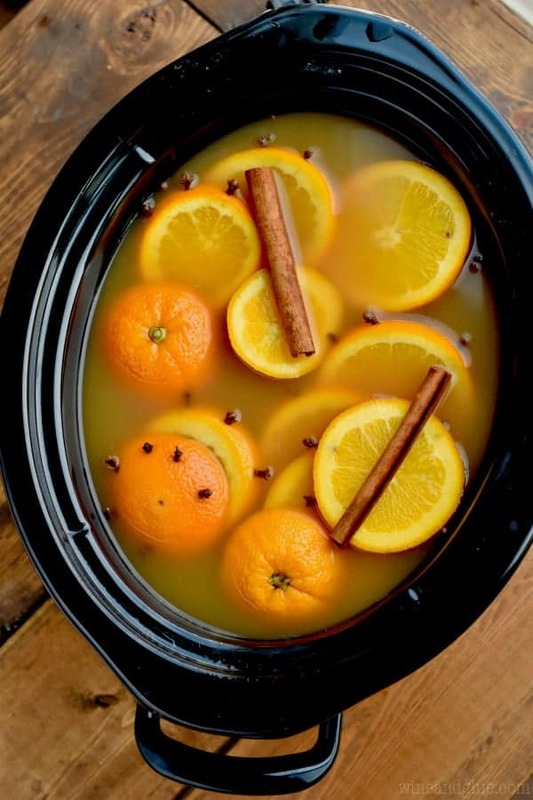 In a 6 quart slow cooker , combine the cider, oranges, cinnamon sticks, and cloves. Cook on low for four hours. Just before serving add the brandy. 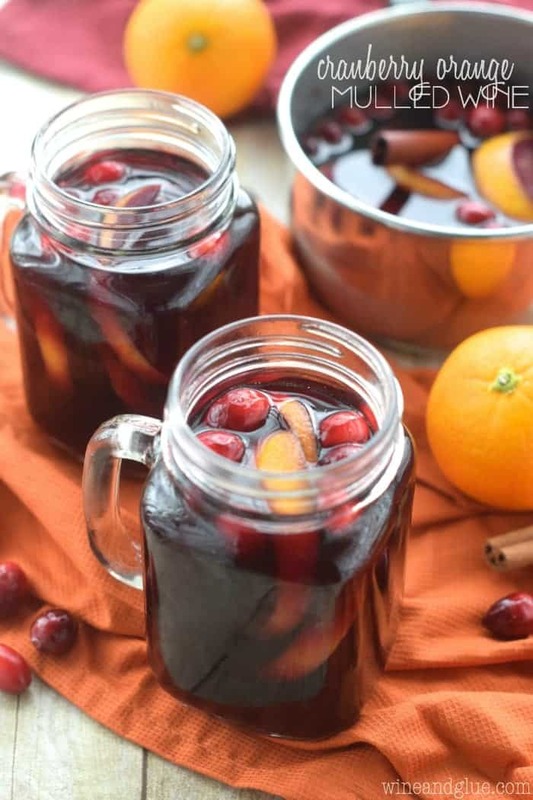 Want more great slow cooker drinks? 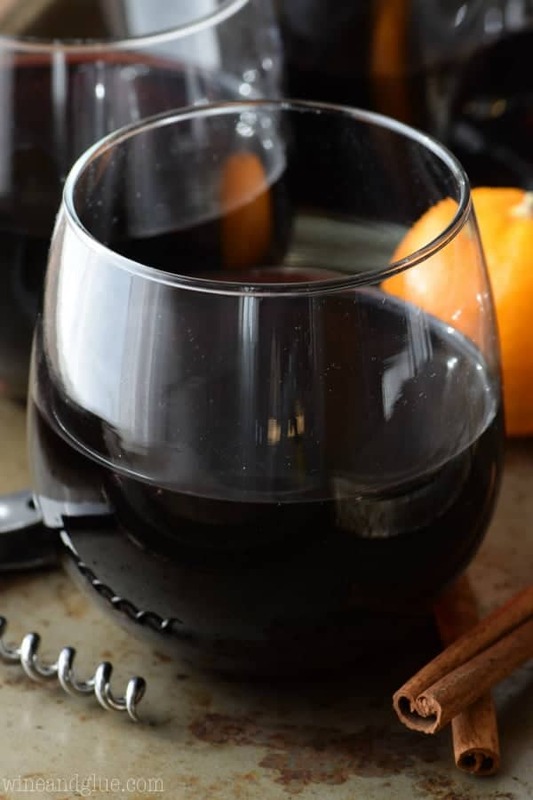 This Slow Cooker Spiced Wine looks perfect for a holiday party! These Slow Cooker Peppermint Mocha Snugglers look perfect for a cookie making party! I know I will for sure want a Slow Cooker Gingerbread Latte after playing outside with the kiddos in the snow . . . or watching them play from the chilly window. It was HOTtttt all week in SoCal, I guess you’d expect that since it’s typically hotter now than it is most of the spring and summer. Like it was 89F at the coast most of last week. But now it’s in the 70s and I would drink your cider all day long! Awesome! This can be a perfect drink for the upcoming holiday. Anyways, this is really interesting. 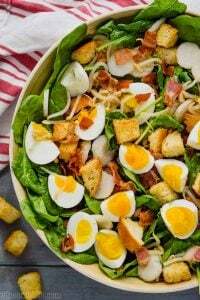 Will practice making this recipe haha. Cheers! I love it! 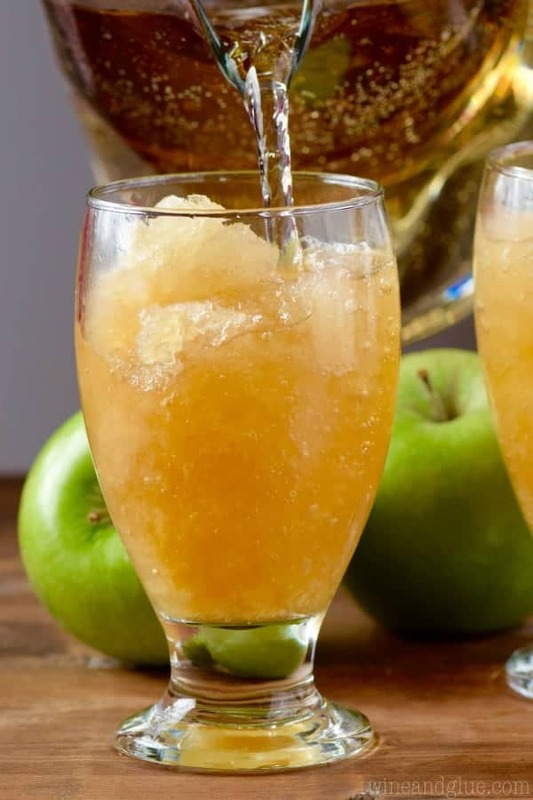 Hi, I love the sound of this but just want to check so I don’t buy the wrong thing (and/or get minors drunk :S) is the “apple cider” something different where you are? because here (UK) it’s alcoholic, or does the slow cooker ‘burn’ most of the alcohol away. In the U.S. Apple Cider doesn’t come with alcohol, so that’s why I have you add it at the end. What would you add to substitute the brandy if I don’t want any alcohol? Just leave the brandy out! No need to sub anything.